Staying in on Valentine’s Day? Here’s a guide to your Valentine’s and chill. Whether you are single or in a relationship, a duvet day is probably the best way to spend Valentine’s Day rather than going outside to face the Bangor weather. 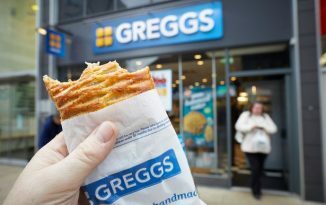 Who needs to spend stupid amounts of money on consumerist gifts, when the most fun you can have includes a laptop, duvet, and copious amounts of food? So curl up with (or without) your significant other and escape the real world with these TV and film recommendations. Cheesy rom-coms are what they are: cheesy and romantic, but that doesn’t mean they are inherently bad. Both Legally Blonde films are available on Netflix and its box-office success has spawned spin-offs and a musical theatre adaptation for Broadway. That counts for something as a cheesy movie right? However, there are some perfectly romantic films on Netflix: French drama Blue is the Warmest Colour explores a girl’s sexuality when she meets Emma, an older art student. The raw emotion of this coming-of-age drama defines it as arguably the most realistic romantic drama on Netflix at the moment. Amazon Prime offers up a variety of romantic comedies too. 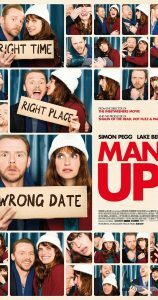 Surprisingly, Man Up is already available on Prime even though it was only released mid-last year. The film takes us on a journey of finding love after divorce through a series of hilarious misunderstandings. Simon Pegg plays the lead, Jack, who mistakes Nancy (Lake Bell) for his blind date. The twist? He thinks she is 24 years old, when in reality she is 10 years older. Instead of correcting his mistake, Nancy goes with the flow, and the results are pretty predictable. However, the film is cute and quirky, and illustrates that saying: age is just a number. Also on Prime is the Channel 4 series Catastrophe, which exemplifies the whole hook-up culture that we live in nowadays. While in London on a business trip, American businessman Rob (Rob Delaney) gets Sharon (Sharon Horgan) pregnant. The 6 episode series is fairly witty and Sharon and Rob are a hilarious couple going through a pretty ridiculous situation. It’s ideal to binge-watch in one sitting. If you want pure unadulterated comedy, then turn to Netflix Original Unbreakable Kimmy Schmidt. Penned by Tina Fey and Robert Carlock, ever-optimist Kimmy finds herself in New York after escaping an underground post-apocalyptic cult. The bright, colourful plot, and annoyingly catchy theme tune is enough of an excuse to binge-watch this Valentine’s Day. Brooklyn Nine Nine is another series that is perfect to watch if you are a fan of police comedies, Andy Samberg, and Terry Crew’s muscles. The star of the show for me however, is comedian Chelsea Peretti’s character, the obnoxious self-obsessed Gina, who has some of the best one-liners on the show. The latest series in on E4, Thursdays at 9pm. If you wish to be transported to another era with a few steamy scenes thrown in, catch up on all four seasons of Jonathan Rhys Meyers as King Henry VIII in The Tudors on Netflix. Without the steamy scenes but starring Colin Firth is the 1995 TV adaptation Pride and Prejudice on Amazon Prime and Netflix. The classic Jane Austen period drama is a perfect choice especially if the soon-to-be-released zombie adaptation Pride and Prejudice and Zombies isn’t for you. For all the single straight girls/gay guys/anyone with fully functioning vision, all three series’ of Luther is available on Netflix, excluding the latest fourth series. If bad boy detective DCI John Luther isn’t your cup of tea, then by all means, watch something else that he stars in. 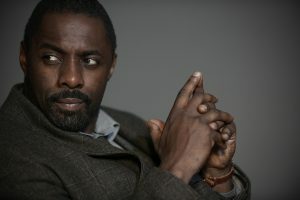 Several of his feature films are available on Netflix: both Thor films, ‘Mandela, My Dad and Me’ and Golden Globe nominated Beasts of No Nation, in which Elba plays a commandant, training child soldiers in an unnamed African civil war. I cannot think of a better way to spend Valentine’s Day than spiritually with Idris Elba, so now you know how I’m spending February 14th, don’t judge . Failing that, catch up on First Dates on All 4, what used to be called 4oD, and cringe/laugh at the awkward couples, it is guaranteed to warm your heart. I was quite dubious when it first aired but now, every week I look forward to seeing Fred’s glorious beard on my screen.